This year, in company with many other people, I sent Christmas cards that I had made myself and far fewer than ever before. I also cut back drastically on the number and size of the presents I gave. As a compromise I gave what I think of as my ‘When a card is not enough…’ gifts to those people to whom I wanted to give more than a card, but for whom I could not afford a gift. 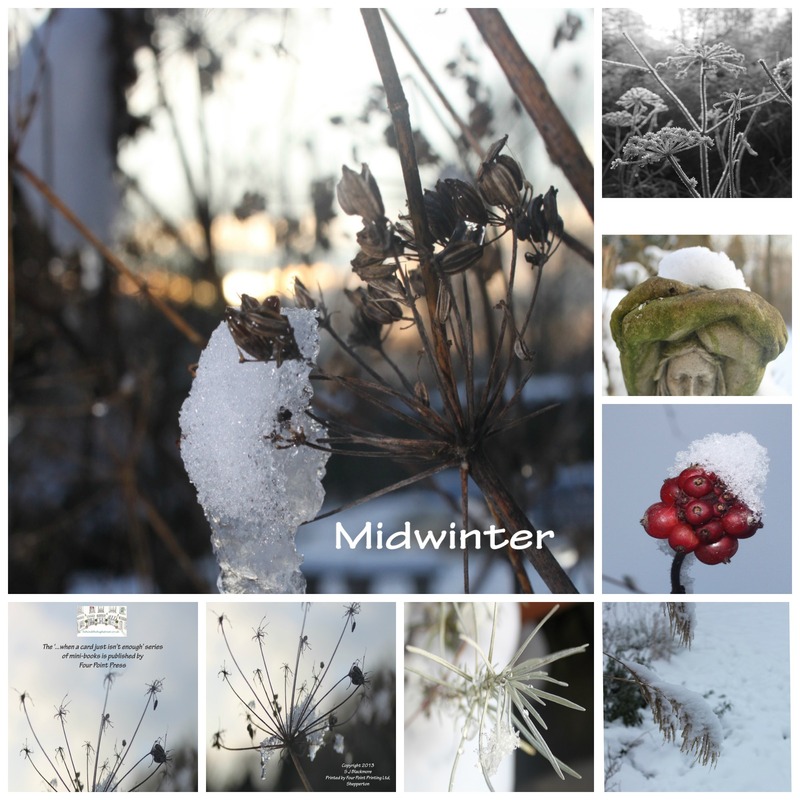 I took two of my favourite poems, In a Bleak Midwinter by Christina Rossetti and When the North Wind Doth Blow, traditional rhyme I remember from my own childhood and which I taught to my children many years ago. 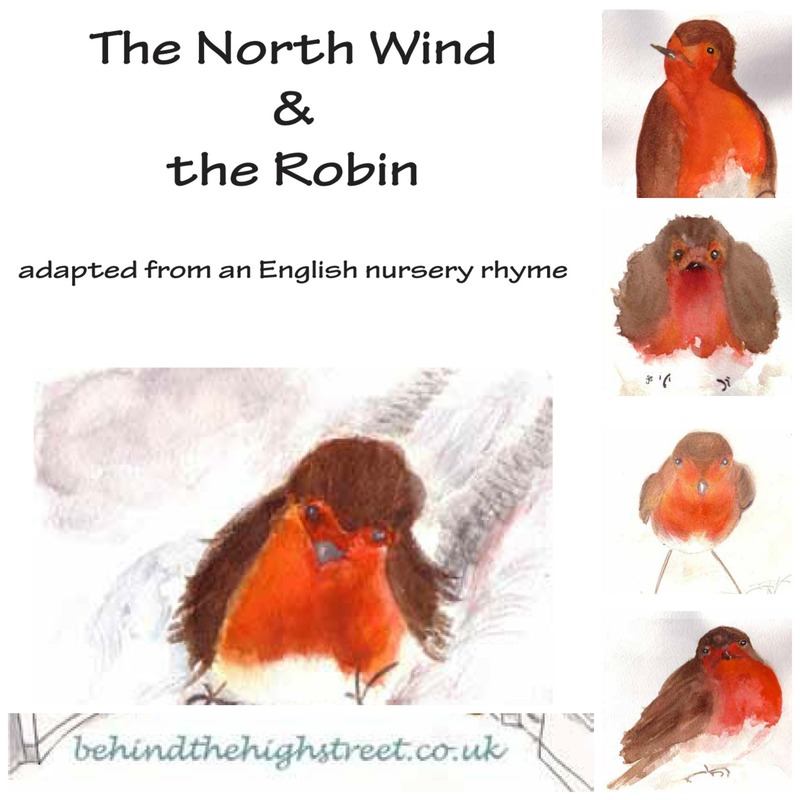 I painted robin pictures to illustrate the nursery rhyme (and these also became my Christmas card designs) and searched out chilly pictures from last years’ snowy time to illustrate a modified version of the Rossetti poem. With some fiddling on the computer I fashioned small A6 books, printed them and sent these as a card and gift combined. And so, for the price of a second class stamp and a little printer ink, I had sent gift and card combined. Imagine my delight when I received a phone call this morning from an ecstatic friend who had received one of these ‘more than cards’. In the post I also received a thank you note from a recipient of the midwinter book. What a surprise! The compliments paid made me blush and do not need to be repeated, but suffice it to say that a little thought …not to mention the happy time spent painting the cheeky robins and searching out just the right image to suit Rossetti’s words…had produced a more dramatic result from my friends than any present I have ever bought and given before. The moral of this little tale is twofold I think. Firstly home-made gifts become treasures and secondly a small thank you goes a very, very long way. What a great way to end 2013…Happy New year to anyone reading this. This entry was posted in artist, Christmas, frost, garden, natural world, painting, poet, poetry, seasons, Uncategorized, wildlife and tagged Bleak Midwinter, Cards, Christina Rossetti, Christmas, gifts, In the Bleak Midwinter, Rossetti, Thank you, The North Wind Doth Blow, When a card is not enough. Bookmark the permalink. Thank you Polly. Happy New year to you and your family too Polly.